my god!!!! has it really been almost half a year gone by! Well, loyal Legionnaires, i am truly sorry for not posting…but to be honest not much has changed. 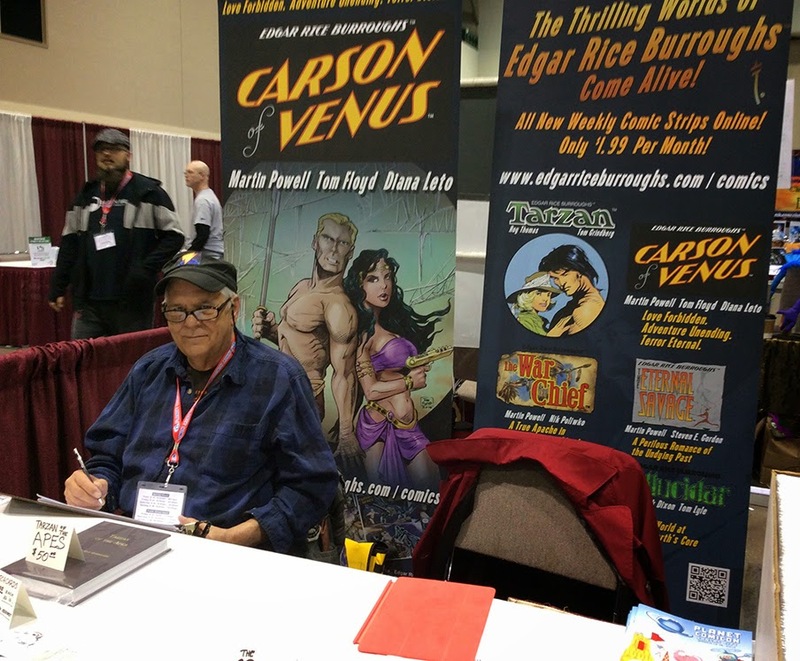 Health issues still abound, and the day job goes on and on, as does Carson of Venus™. Carson is within weeks of completing the first full years run. And we should adventure on from there. We are well into the second book of the series, and we plan to get all five of them in, before we possibly move Carson Napier into new and exciting adventures on Venus. So stick around. As he is becoming more and more like Flash Gordon with all the extra women hanging around. Also made it down to Kansas City twice this year. Once to the Kansas City PlanetComicCon. Man that show has gotten large. I sure wish i had a Captain Spectre book to sell, but i was there to try to get people to sign up for the Burroughs online strips. And then had a artist alley table at the Spectrum Live event there. And got to talk with friends Mark Schultz and Greg Manchess. Love talking with those guys if only for ten minutes. Well like i say every time….i will try to post more often. The strange thing is the older i get the faster time slips away!!!! Elders always told me this, but i never believed it until now. I have one more con in me before thinking of giving up the life of a con goer. It is just getting too expensive, and my traveling days are just about over. But we shall see….i never know from day to day.